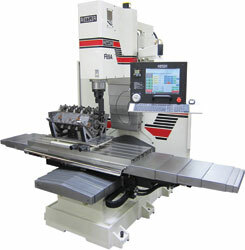 The F69A is a truly amazing machining center. Blueprint bore, line bore, deck blocks, surface heads, true lifter bores, automatic milling to size, all in fully automatic operational modes. The real advancement is in the Rottler Windows program control. All the listed functions are formatted in operations tabs on the touch screen that any shop hand can understand. You will have the power to write your own programs without any CNC G code experience. 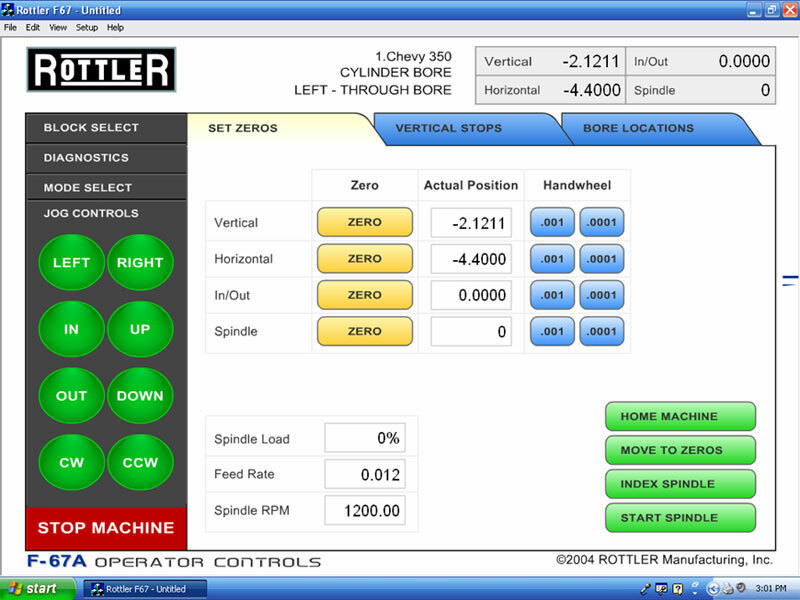 The control system is a Rottler Proprietary system available from Rottler exclusively. 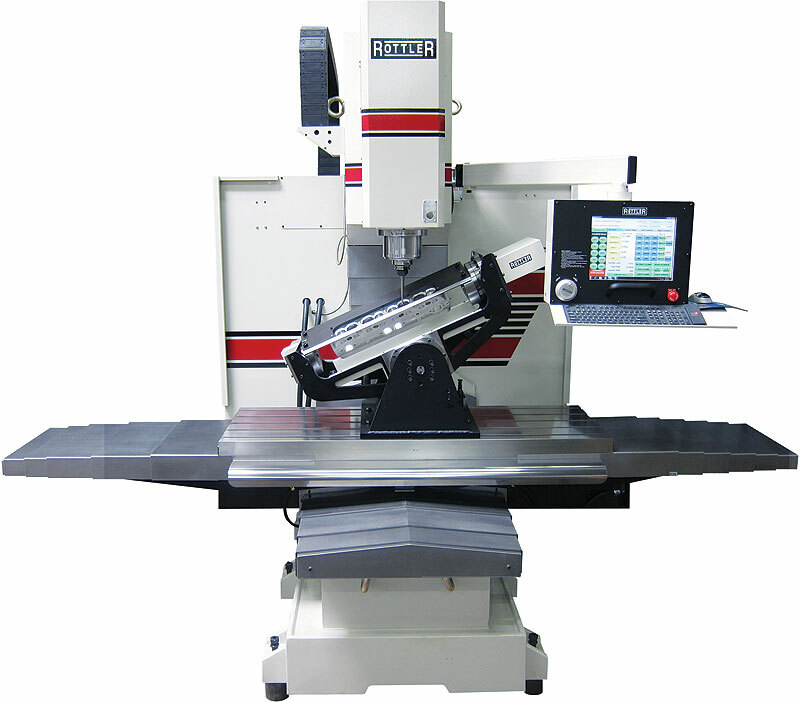 G Code CNC machines are available anywhere. Companies that package these machines are non essential. 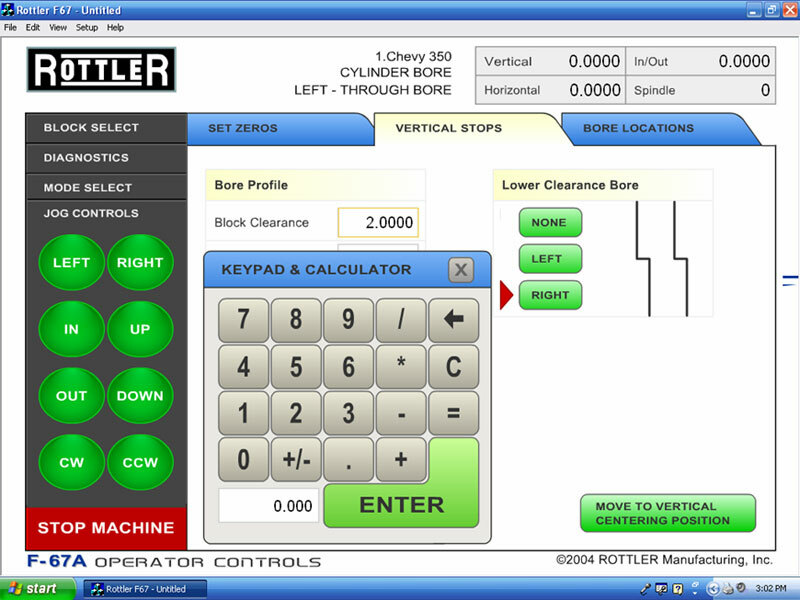 Rottler programming allows the operator to program machining functions with great ease. This greatly increases the value of Rottler CNC machines to the end user. Our sales force can demonstrate the programming in your shop. G code files can be imported and Run in the controller for the more advanced operators/Programmers. Rottler Cam is also an operating system that has advanced beyond the G Code system. You have 3 choices with the Rottler control. Why limit yourself to one operating system when Rottler offers you three? Windows with easy read screens that don't require G code for fundamental machining operations. Rottler Cam a Direct Motion Conversational advanced program system. Windows Touch Screen Operating System – Rottler uses Windows Touch Screen Technology on a 19" touch panel. The Windows software has many advantages such as it's common user interface that is easy to learn and fast to operate. Internet Support & Connectivity - Rottler offers internet support and video conferencing direct from your machine to the factory. This feature gives you instant, direct contact with Rottler right on the machine without making a phone call. Skype and a webcam come pre-installed so that Rottler Technicians see what you see. This saves a tremendous amount of time for training and troubleshooting. Shop busy or too noisy for talking? Skype provides you messaging capabilities with Rottler Technicians. Hard Chrome Spindle - Super hard finish resists wear for years of operation. Hardened Box Way Column - Ensures exceptional rigidity for accurate machining of parts and long life. Cat 40 Taper - Industry standard for worldwide versatility. T-Slot Table - Allows operator to clamp or fixture any job quickly and easily. AC Servo Motors - Offer maximum torque and performance throughout the RPM range for precises accuracy and increased productivity. Power Drawbar - Offers finger top changing of cutting tools for fast machining of blocks, heads or parts. Ball Screws - Large diameter 40mm (1.58") precision ground Direct Drive Ball Screws for rapid feed rates, accurate positioning and repeatability. Turcite Coated Box Ways - Reduces friction or smooth movement, long life and accuracy. Vertical Box Ways - Precision ground, hardened box way slideways are 28" (700mm) wide for increased rigidity and years of heavy duty high production machining. Touch Screen Controls - For fast, easy programming of machine. Eye Level Control Pendant - For easy viewing and less floor cutter. Manual Handwheel - Offers operator infinite control of machine movement in all axis for quick and easy setup. New Motor Drive System - Offers you increased dependability and ease of service. Internet connection to the machine computer must be provided for training support and service. 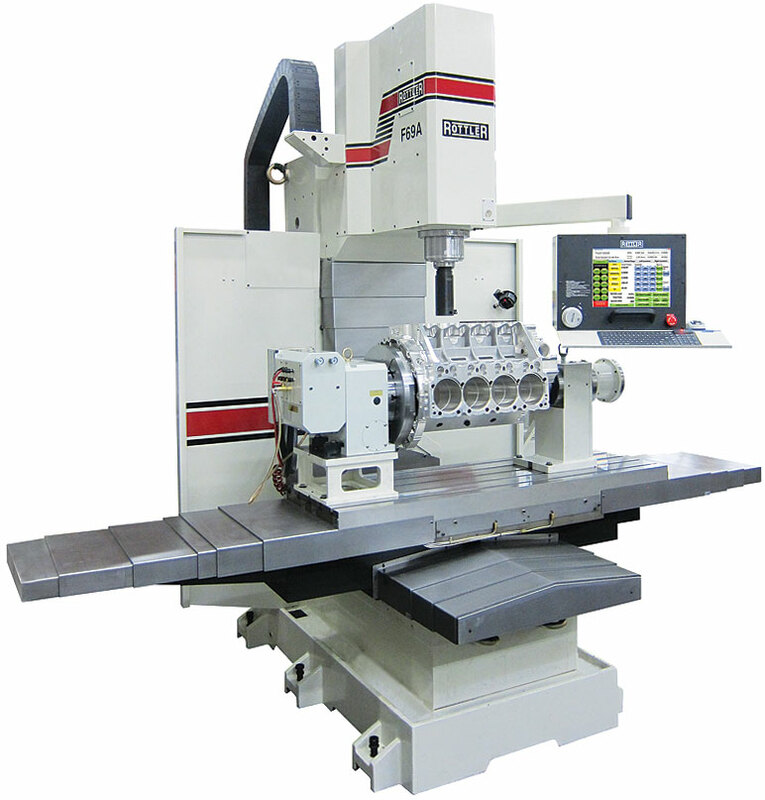 Bore centers, exact depth, speed, feed, etc. Lower Bore Relief, off center boring for Honing Clearance. Surfacing - Multiple Pass programmable for roughing and finishing - can remove any amount of material in one automatic cycle. Lifter bore machining - bore housings and ream bushes to exact final size. Automatic line bore cycle completes all main bearing housings to within .0002". Machine a radius for stroker crank connecting rod and bolt clearance. 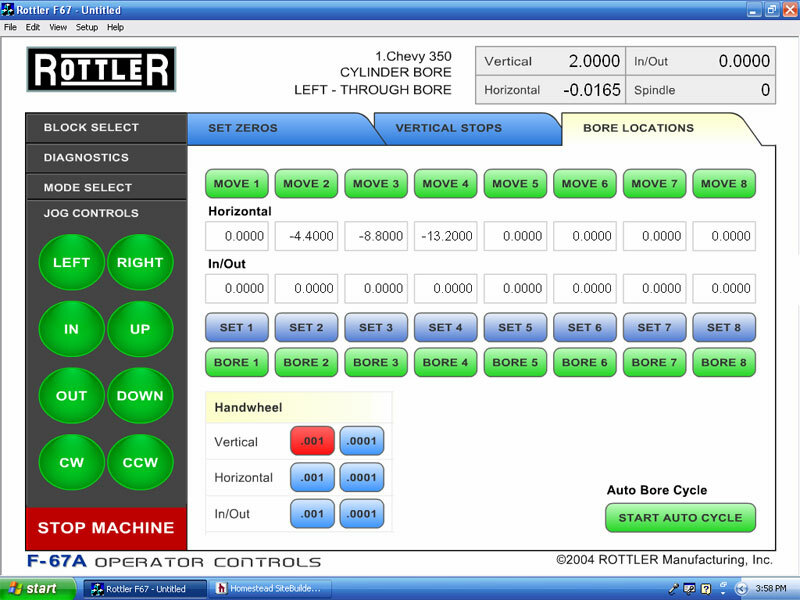 Rottler CAM CNC program allows G code programming and file transfer with CAD/CAM programs. Windows 7 Touch Screen Control. 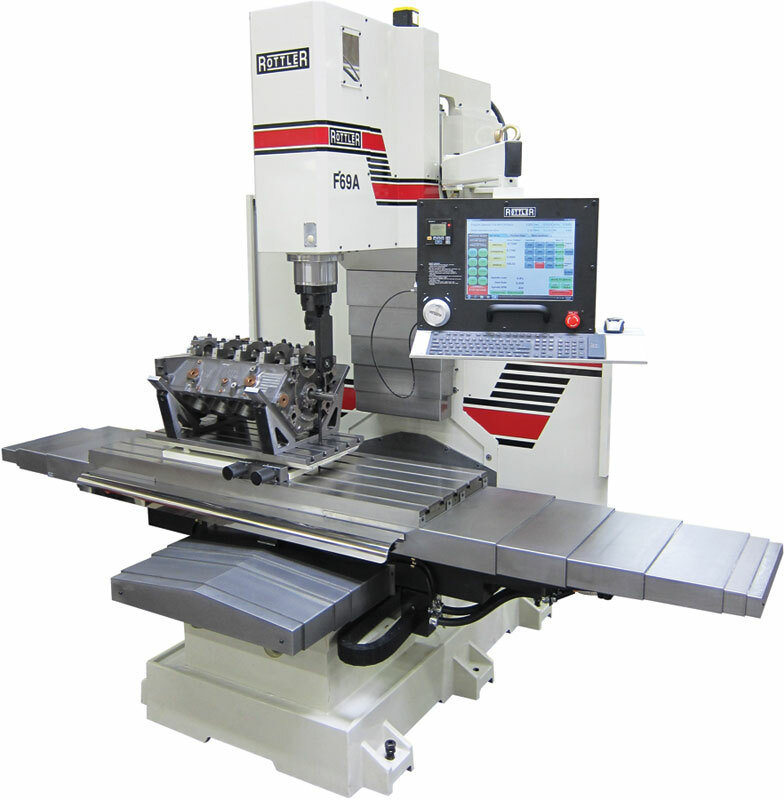 The Rottler F69A is a true simultaneous 3 axis Windows XP based rigid spindle CNC Bed Mill. 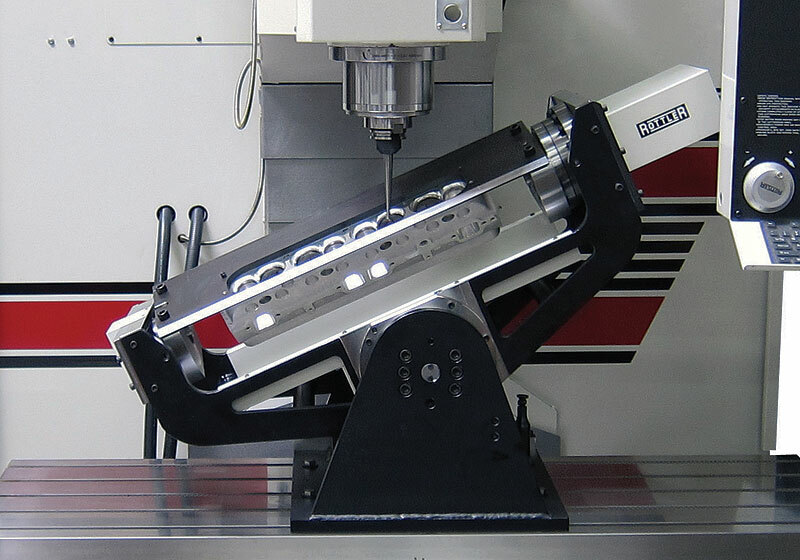 The available 360 degree 4th -axis block system allows automatic block positioning for many machining operations. An optional digital probing system is an automated coordinate measuring device. 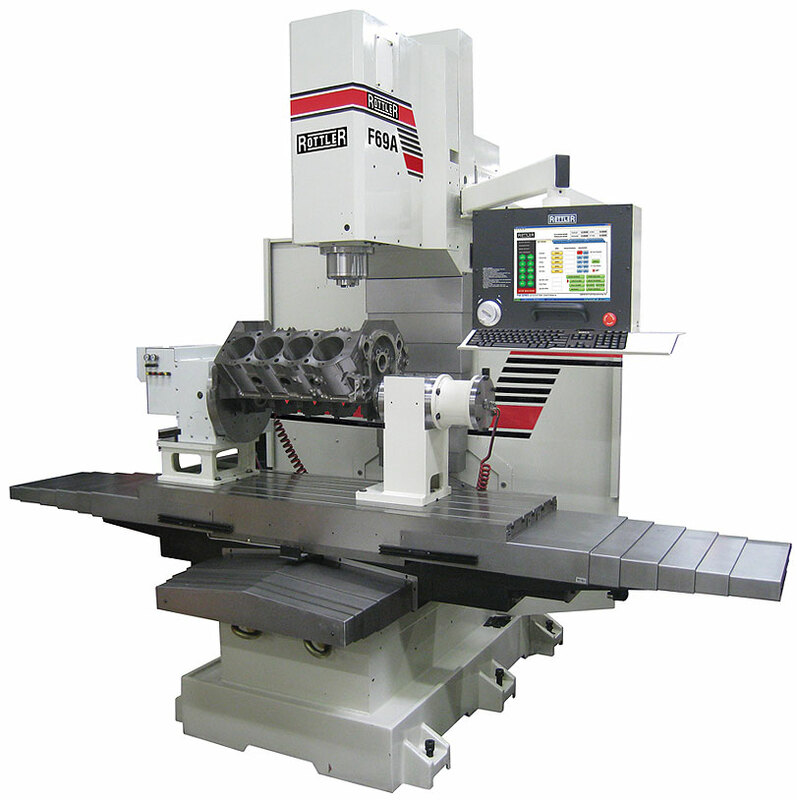 An optional tool changer allows the machine to perform many machining functions unattended. The true CNC Windows 7 based control offers 3 programming options based on a normal shop hand with no programming experience, intermediate user and expert user. The process of writing programs is not the process of calling programs up for operation. Be careful on this one. Other suppliers provide some programs and only instruct in how to call up pre written programs. Programs not supplied cost money and any changes to a program must be written in G Code. Changes in programs should be easy and fast to perform. You will find this out when a block doesn't clean up at .030 over utilizing a canned blue print program. Being able to write programs in house eliminates the cost of outside sourcing and paying for programs. Limiting program capabilities to G code forces shops to learn G code programming. Paying others to program for you is the other option. G code allows you to call up written programs with menus but doesn't enable you to easily change a program with menus. Changes must be re written in a G code format. Block blueprinting and machining programs must first be written in G code. Beware of the words menus and conversational find out what they really mean. 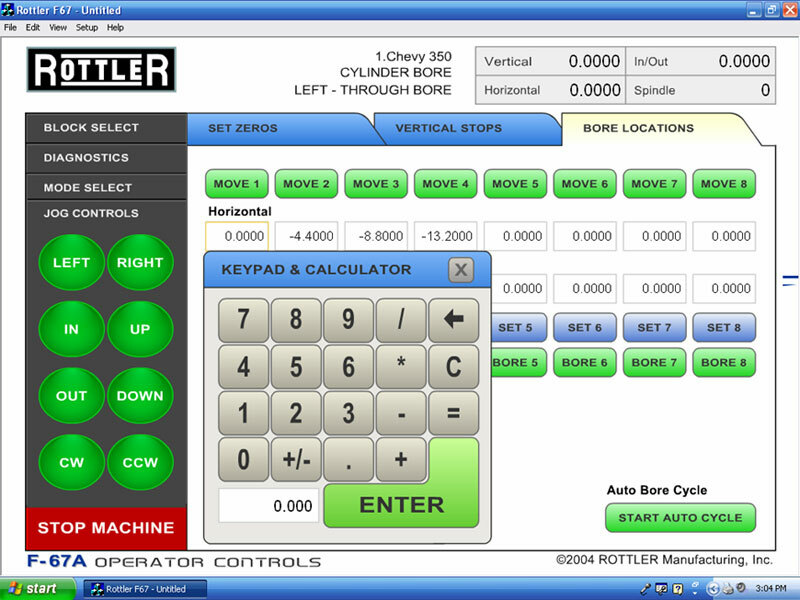 Rottler created an exclusive programing system for non G code based programmers referred to as Rottler Menus. 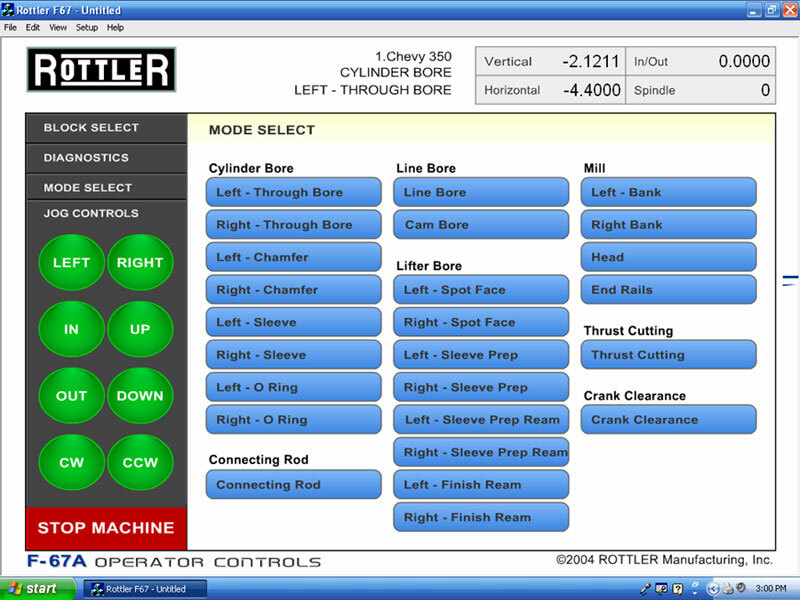 Rottler Menus are an easy read format that are Windows XP based Menus utilized for writing: lifter bore, line bore, automatic surfacing, boring ,line boring, clearance, and drilling programs commonly used in block and head specific routines and sub routines. Simply put you won't find a faster easier way to write common engine blueprinting and head and block machining programs. The programs are written in easy to read and understand Windows 7 tabs then converted for you. Any of these program can be used as a template to indicate, probe, or machine the block. Changes can be made instantly to existing programs in seconds on the easy read screen. The machine will run an automatic cycle utilizing the new locations. Once the job is complete you will be prompted to save the changes Yes or No. Answering No saves the original blue print program per the factory print. This enables you to use a blueprinting program as a template making bore shifting an easy task. This system is extremely useful with used blocks that won't blueprint out because of core shift and wear. Shops can be trained to write these programs in house in under 1 hours time. 1. Rottler Program: No experience required. The program is a simple block and head machining menu driven format utilizing tabs with simple easy to follow instructions. This allows a basic shop hand to write programs for any block or head that works in the capacity range. No need to pay for programs. Programs are written in a couple of minutes. This is a Rottler Exclusive program format available only from Rottler MFG. Rottler invested enormous time and financial resources in this program format for the benefit of new CNC machinery users. 2. Direct Motion: Intermediate experience required. General machining conversational pre-formatted machining routines and subroutines in 2d and 3d. Peck Drill, Mill, Etch etc. 3. G Code format: Standard CNC G Code format requires extensive mathematical knowledge and years of education or training to write programs in this format. G Code program requires a highly skilled programmer. Rottler offers 3 operating systems all of which are prompted in a Windows 7 based format. Performance - Feed Rate .001"-.060" per rev. .02-1.5mm per rev. List below is a sample of the many Fixtures and Accessories available. Please refer to a brochure, speak with your local Representative or contact us direct for more information. 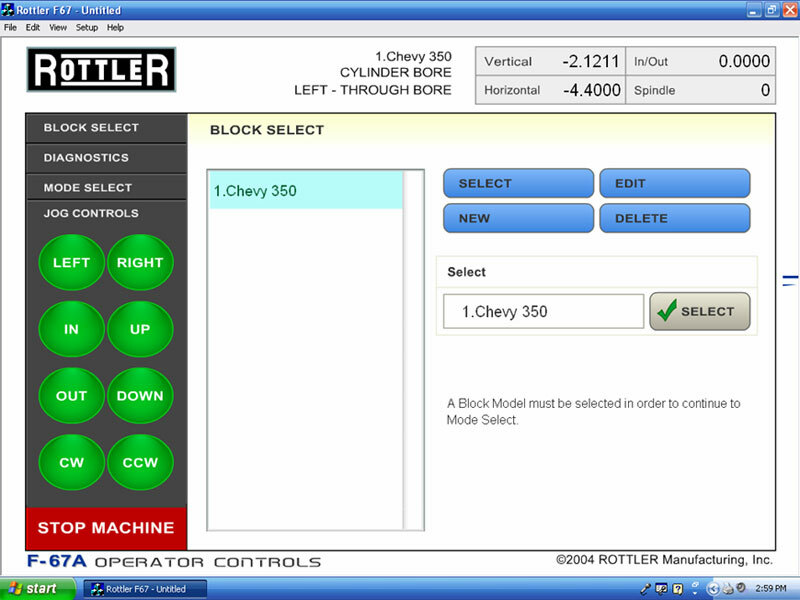 Rottler’s Universal Quick Load/Unload Automatic Rotate 4th Axis Fixture and Software allows the computer to rotate the block or cylinder head during the automatic machining cycle. Large V blocks can be rotated 360 degrees to allow special machining jobs such as stroker clearancing in same set up as boring, surfacing and lifter bore machining. The tail stock is pneumatically operated allowing easy and fast loading and unloading of heavy blocks. Precision Performance Fixture references from the centerlines of crankshaft and camshaft for machining operations – precise bore locations and square block deck height. Bore and surface a V8 block in less than 30 minutes. Lifter bore angles are accurately set with gage blocks in the Performance Fixture. Complete a lifter bushing job in less than one hour! Rottler’s patented Connecting Rod Fixtures allow large connecting rods to be surfaced and bored on the F79A machines. The Rottler boring fixtures allow both big end and small end to be bored in one set up resulting in perfect parallelism between big end and small end. All the rods in a set can be accurately bored for equal center to center distance, a must for today’s high compression diesel engines. Special heavy duty fixtures available for boring very large, heavy connecting rods found in natural gas compressors and workboat marine engines are available. 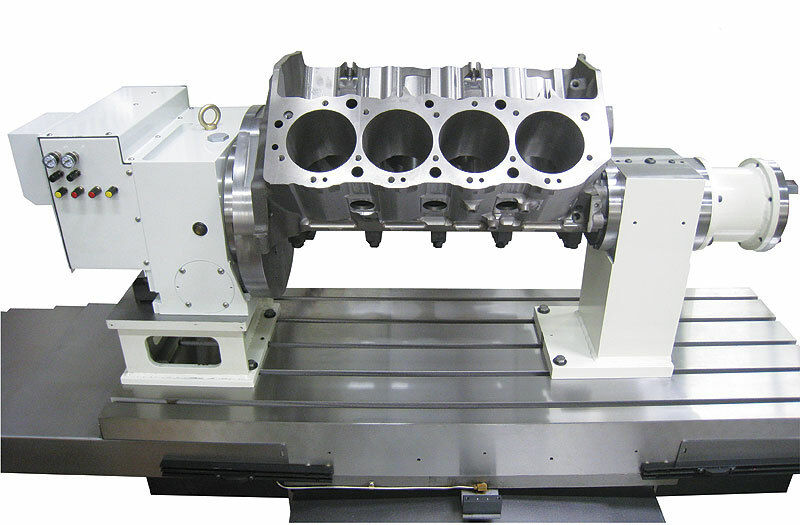 for surfacing/milling heads, blocks and manifolds with CBN and PCD tooling. The Rottler Dual Axis Leveling Table allows clamping of the head to be complete first, then the level adjusted in both directions simply by rotating the two hand wheels. Combined with Rottler's Dual Axis Level, any job can be clamped and leveled in seconds! This process results in minimum stock removal when surfacing. Combination 4th and 5th axis fixture for CNC cylinder head digitizing and porting. 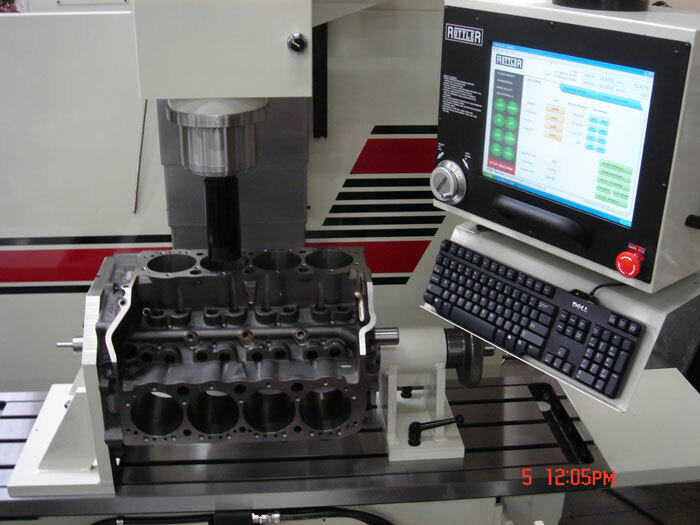 This system comes complete with Rottler Cylinder Head Digitizing, Programming and Porting Software for fast, easy digitizing and porting of cylinder heads directly on the machine. Includes the same great ability to manipulate port profiles and balance cross section areas. Programming can be done directly on the machine, not necessary for any stand-alone computers or third party software. Factory and On-Site operator training included in the package. Cylinder head fixture plates and porting tools to suit cylinder heads to be digitized and ported must be ordered separately. Digitizing System with Renishaw Probe - true 5 axis digitizing software reproduces sample ports with no need to "clean up" digitized data. Typical digitizing to machining a port is one hour per port. Exclusive to Rottler is the use of cycloidal rotary vector gear drives on both A and B axis for near zero backlash of less than 1 arc minute. Port and Chamber CAD/CAM software to quickly manipulate port dimensions, view cross section area, create surfaces, create tool paths and machine ports and chambers. Highly Interactive & Very Responsive PC Based Single Processor Control System by Direct Motion Control Technology. CNC Touch Screen Control, Windows Operating System with Intel Processor, Networking and Internet Connection included. Internet enabled with the ability for a technician to "take over" the machine for remote training and diagnostics from anywhere in the world. More information on our Rock and Roll Fixture can be found on page 10 of the the F69ATC Brochure.